Reflects the opinions of the American Law Institute in international law as it applies to the United States and domestic law impacting foreign relations. Discusses the sources of international law and its place in U.S. jurisprudence. Divided into nine main parts: I. International Law and its Relation to the United States; II. Persons in International Law; III. International Agreements; IV. Jurisdiction and Judgements; V. The Law of the Sea; VI. The Law of the Environment; VII. Protection of Persons (Natural and Judicial); VIII. Selected Law of International Economic Relations; IX. 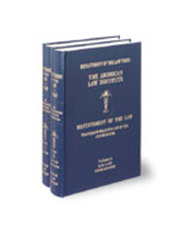 Remedies for Violations of International Law.